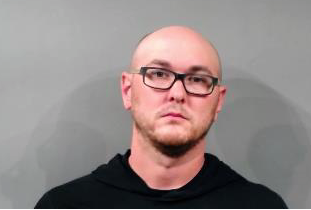 SEDGWICK COUNTY—Law enforcement authorities are investigating a suspect in connection with the death of a 4-month old child. On Saturday, police in Haysville responded to report of a child having a seizure in the 400 block of Sarah Lane in Haysville, according to a media release. Sedgwick County EMS transported the 4-month old child to a local hospital in critical condition. Doctors discovered the child had internal injuries. The child died on Thursday according to the release. On Thursday, Haysville Police arrested 32-year-old Andrew W. Franklin, according to the Sedgwick County arrest report. Just before 7:30p.m. deputies booked Franklin into jail on requested charges of First Degree Murder and Child abuse, according to the jail booking report. Police will present the case to the district attorney on Monday. Police did not release any additional details. Franklin has previous convictions for theft and burglary, according to the Kansas Department of Corrections. SEDGWICK COUNTY—Law enforcement authorities are investigating a suspect in connection with the death of a child. Police are expected to release additional details Friday.